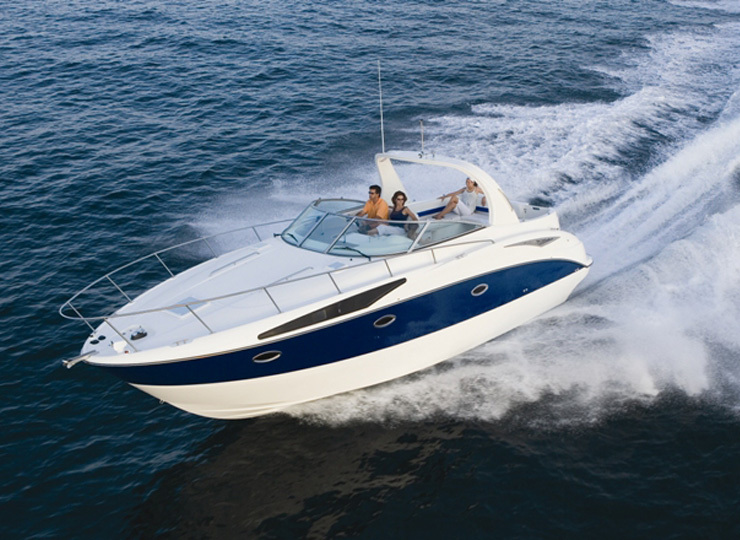 Bay- liner 340 is remarkably spacious and wide with the nonskid transom platform. The cockpit and the cabins are all in one level, hence there are no steps, making a room for easy navigation. 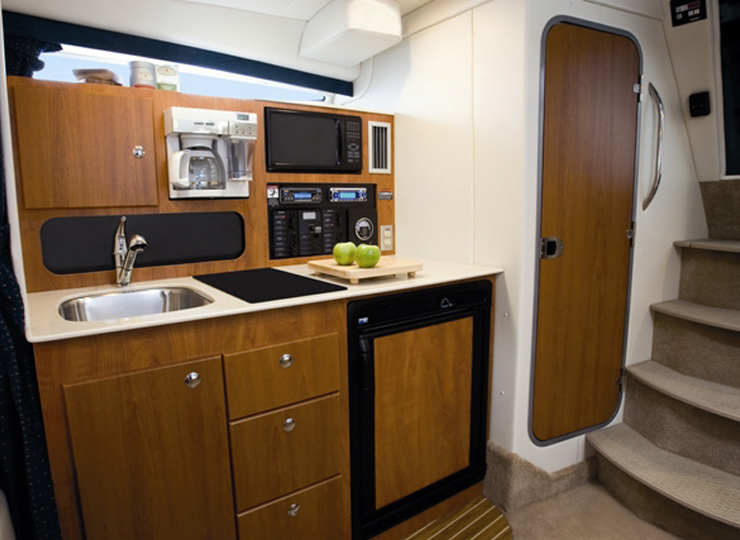 The extensive area makes it comfortable for large day crew or small travel crew. 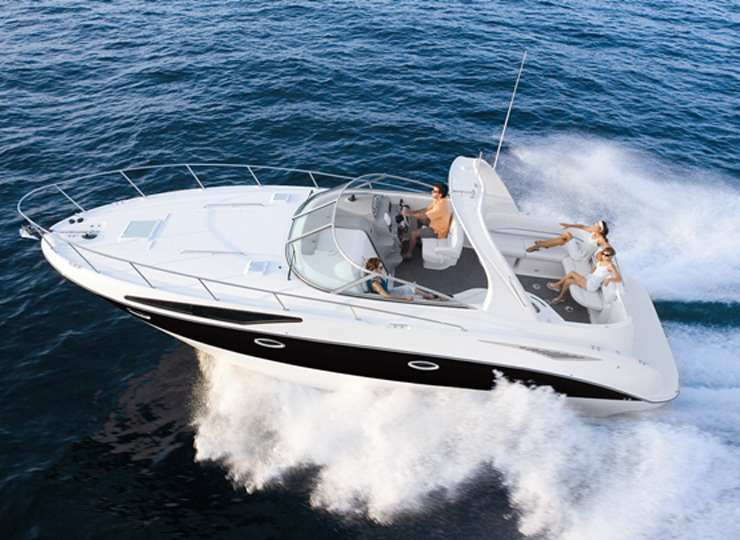 The helm offers expansive view while the fiber glass radar arc and open cabin makes it alluring. Swivel the seat back and the cockpit joint into a sitting circle. Instrumentation and navigation equipment is laid out efficiently on tires and there are plenty of head rooms for the adults. Homely amenities make the journey more comfortable and hassle free. 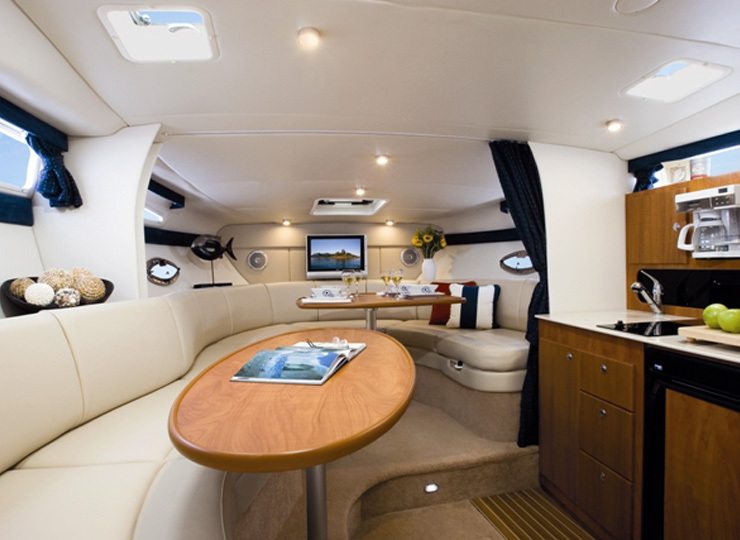 The aft cabin has a stand up entry and queen size sleeping berths makes it more capacious and outspread.